Even before finishing graduate school Elijah Walter Miles had a record of civil disobedience in support of civil rights objectives. Born in Hearne, Texas on May 4, 1934, Miles received his bachelor’s degree from the Prairie View A&M University in 1955. A two-year stint as an officer in the U.S. Army preceded graduate study at Indiana University where he was in the forefront of a campaign to desegregate public accommodations in the city of Bloomington. After receiving his doctorate in political science at Indiana University in 1962 Miles taught for three years as a professor at Prairie View and directed a successful boycott of white-owned businesses in nearby Hempstead, Texas. Later, during his one-year stay at the University of North Carolina, Miles agitated for better off campus housing. Miles arrived at San Diego State University in 1967, and at the time was the institution’s only African American professor. Gracious, loyal, and affable but fearless, Miles immersed himself in the affairs of the city and the university, oftentimes working effectively behind the scenes to bring about change. Off campus he became chairman of the board of the San Diego Urban League. He was also a member of the San Diego Blue Ribbon Commission for Charter Review and was appointed to a panel of the California Board of Education. 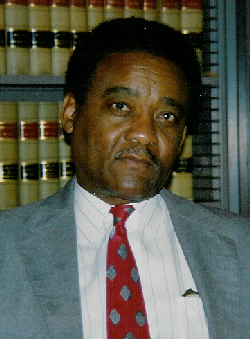 Miles was chairman of the board of the San Diego Chapter of the American Civil Liberties Union and served on the organization’s national board. In academe Miles was chairman of the Commission on the Status of Blacks in the American Political Science Association, elected to the governing board of the American Political Science Association, associate editor of the Western Political Science Quarterly, a trustee of the Center for Research and Development in Law-Related Education, and a board member of the Law in American Society Foundation. An expert in constitutional law and the judicial process, he is the coauthor of Vital Issues of the Constitution (Boston: Houghton Mifflin, 1989). Late in his career Miles became chairman of San Diego State University’s political science department. He retired in 1998. Who’s Who Among Black Americans (Detroit: Gale Research Inc., 1991); Robert Fikes, Jr., The Black In Crimson and Black: A History and Profiles of African Americans at SDSU (San Diego: SDSU Library and Information Access, 2004). Robert Fikes, Jr., The Black In Crimson and Black: A History and Profiles of African Americans at SDSU (San Diego: SDSU Library and Information Access, 2004).